And we hope you'll join us in two more weeks, on Tuesday, November 1st, when we present the stellar lineup of J.D. Adamski, Suzanne Clores, Laura Stark, Cesar Torres, and Matt Wood! Be there or you're outta here, slugger. If you missed Tuesday Funk this week at Hopleaf, we're sad to say you missed a train that won't be stopping here again. Erin J. Shea set a terrifying tone with her tales of new motherhood. Liz Baudler let us listen in on some very animalistic girl talk. And in an excerpt from his novel-in-progress, C.P. Chang showed us some of the very different faces of racism. After a break for beer and a zombie haiku, Matt Darst took on a tour through the mind of dog whose masters have started acting rather strangely, in an excerpt from his new novel Dead Things. And to round things out, co-host William Shunn took us to a highly improbable 2012 World Series where the fate of the whole city rests in the hands (and tentacles!) of Chicago's own Cubbies. But don't worry if you weren't there. Tuesday Funk will be rolling into the station again on November 1st with great work from Suzanne Clores, J.D. Adamski, Matt Wood, Cesar Torres, and Laura Stark, and yet another Poem By Bill. It's a Thanksgiving feast of epic proportions, and you won't want to miss it. Mark your calendar now! Reminder: Tuesday Funk #38 is tonight! It's nearly upon us, rising from the east and lurching crookedly west, closing inexorably upon Clark Street. No, it's not the sun, it's Tuesday Funk, the monthly Chicago reading series where good writing and good beer mix, and the five shambling readers we've summoned together to populate 38th big episode. And the fact that you can be there for it all for no more than the price of an ice-cold beer or two makes being there a no-brrraaaains-er. Our improbably animated lineup tonight includes William Shunn, C.P. Chang, Erin J. Shea, Matt Darst, and Liz Baudler, and we'll throw in one of our patented Poems By Bill for no extra charge. So "like" us today on Facebook, arrive early, stake out a table in Hopleaf's upstairs lounge, grab a beer from the bar, and let's all huddle together like it's the zombie apocalypse. Hopleaf is at 5148 N. Clark St. in Chicago. The reading begins at 7:30 pm in the upstairs lounge. The lounge opens at 7:00 pm. Arrive early for a seat! As always, the upstairs lounge at Hopleaf is cash-only and 21 and over. Remember also that no food can be brought in from the restaurant. William Shunn is a co-producer and co-host of Tuesday Funk. He has worked as a cabinet maker, a custard slinger, a door-to-door missionary, a technical writer, a telephone surveyor, and as a computer programmer, most notably for WordPerfect Corporation and Sesame Street. In the early days of the web, he also helped produce live online concert broadcasts for artists like The Cure, The Allman Brothers Band, and Mötley Crüe. Bill has published over two dozen works of short fiction, and served for three years as a national judge for the Scholastic Art & Writing Awards. He is the author of the Hugo, Nebula and Sturgeon Award-nominated novella Inclination, available as an audiobook from either Audible.com or iTunes. 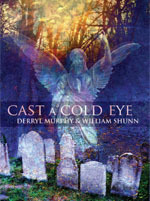 He is also co-author, with Derryl Murphy, of the short horror novel Cast a Cold Eye, available from PS Publishing. (It makes a terrific Halloween gift!) His most recent story is "Care and Feeding of Your Piano," which appears in the current issue of Electric Velocipede. He has recently completed a memoir, The Accidental Terrorist, and is hard at work on Endgame, a young-adult science fiction novel set mostly in Chicago. For our October 4th event, Bill will reprise his popular sci-fi baseball monster story from last year, "The VIsitors at Wriggly Field." Please join us to hear him and all our other monstrously talented readers at 7:30 pm in Hopleaf's upstairs lounge. Matt Darst got hooked on reading early. His octogenarian best friend/next-door neighbor introduced Matt to books with free encyclopedias when he was just five. A year later, he got a subscription to National Geographic. Soon he was reading recreationally, his mother enabling him by taping together the pages featuring naked aborigines. By third grade Matt had moved on to the hard stuff, furtively reading dog-eared copies of his dad's Stephen King novels ("I learned it from you, Dad!") and Jungle Book. By twelve, Matt's addiction took a turn for the worse. He started writing...for fun. His experimentation with notebooks (a classic gateway) led to dabbling with typewriters. Pen and pad call to Matt late at night, cooing his name, telling him to take one last hit of fiction. Sometimes, when Matt's weak, he heeds the siren call of the drug. He wakes from each blackout amid reams of freshly written pages, pages that have seemingly written themselves. Somehow, they coalesced into a book. "Dead Things", is Matt's first novel. Join Tuesday Funk on October 4th at 7:30 p.m. to hear Matt along with the rest of talented readers at Hopleaf's upstairs bar! CP Chang is a writer and software consultant who has been drawn back to Chicago after having moved away from the city three different times in his adult life. There are always greener pastures elsewhere, but Chicago beckons him back. While he thinks of himself as a fiction writer, he can be seen and heard telling nonfiction stories with 2nd Story at wine bars and other non-traditional theatrical venues around the city. Podcasts of his stories can be found at www.2ndstory.com. His fiction and poetry have appeared in Hair Trigger, artisan, Upstairs at Duroc (via the Paris Writers Workshop), Atlanta Review, on Nerve.com, on wordriot.org, and in the anthologies My Angels and Demons at War, Open to Interpretation, and Chicago: An Immigrant City. He was an Associate Producer for Elephant Rock Productions, which produced a series of educational videos on the art and business of writing. Check out www.erpmedia.net for online clips and more information on these videos. CP Chang received his M.F.A. in Fiction Writing from Columbia College of Chicago. He is steadfast in his avoidance of social networking, but only the electronic kind. He is blessed to be married to Jessica Young, a teacher, performer, and writer as well. Join Tuesday Funk on October 4th at 7:30 p.m. to hear CP along with the rest of talented readers at Hopleaf's upstairs bar! Most of Liz Baudler's time is spent in front of her computer trying not to freak out. This goes for whether she is writing writing of any sort or working on The Toucan Literary Magazine, of which she is founding editrice. Liz's fiction has been published in Toasted Cheese and Half Nelson. She is a senior Fiction Writing major at Columbia College where she is also vice-president of the department's student board. She also edits Transcendent Journeys, the ezine for Life Force Arts Center, a spiritual arts organization. In whatever little spare time Liz has left, she likes to collapse onto the floor, drink lots of coffee, listen to the Beatles at the highest volume possible on her stereo, and call up friends to complain about how busy she is. And she works at Brookfield Zoo during the summer, which has given her a shocking command of animal facts and somewhat diminished faith in humanity. Join Tuesday Funk on October 4th at 7:30 p.m. to hear Liz along with the rest of our talented readers at Hopleaf's upstairs bar! 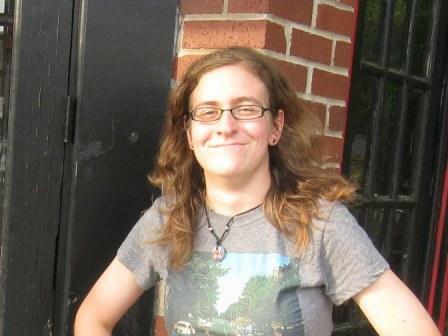 Erin J. Shea lives in the Beverly neighborhood with her husband, Scott Smith, daughter Abigail and superhound, Glinny. 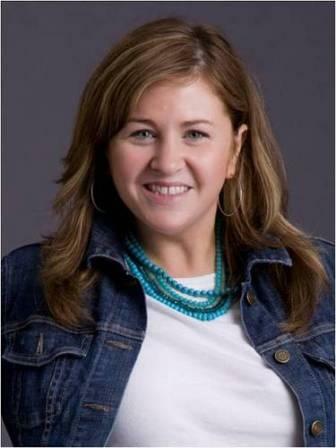 Originally from Joliet, she works as a vice president at Edelman Digital, where she spends most of her waking hours playing on Facebook and Twitter and reading blogs. Well, not really, but almost. Her book, Tales From The Scale, was named one of the top six health books of 2005 by the Wall Street Journal. 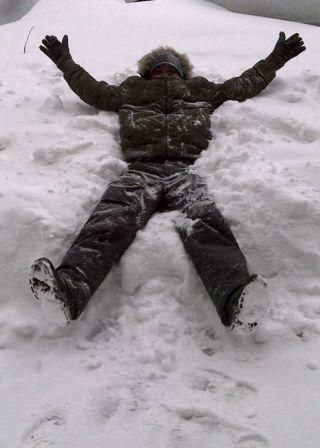 Her most recent work can be found in the newly published anthology, "Welcome to My World," and at her blog, ejshea.com. In the past she's performed at Funny Ha-Ha, CHIRP's First Time reading series and The Paper Machete. Because her daughter is still a baby, Erin's favorite hobby is sleeping and then sleeping a little bit more. Join Tuesday Funk on October 4th at 7:30 p.m. to hear Erin along with the rest of talented readers at Hopleaf's upstairs bar! Um, should we really be in this graveyard after midnight? Did you hear something groan? What's that horde lurching out of the mist? My God, it's coming, it's Tuesday Funk! Quick, the only safe place to take cover is that upstairs bar on Clark Street! Hurry! We've laid in a strong cache of supplies, with readings from C.P. Chang, Erin J. Shea, Liz Baudler, zombie fiction by Matt Darst, and a sci-fi baseball story from your Co-Master of Cemeteries William Shunn. And what would an October apocalypse be without dozens of varieties of cold beer to tide you over? Tuesday Funk convenes Tuesday, October 4, 2011, 7:30 pm, in the upstairs lounge at Hopleaf, 5148 N. Clark St., Chicago. Arrive early, stake out a table in the upper room, and grab a beer from John at the cash-only bar. We start seating at 7:00 pm and no earlier. Admission is always free, but you must be 21 or older. And come early or stay afterward for some great Belgian-style food downstairs. 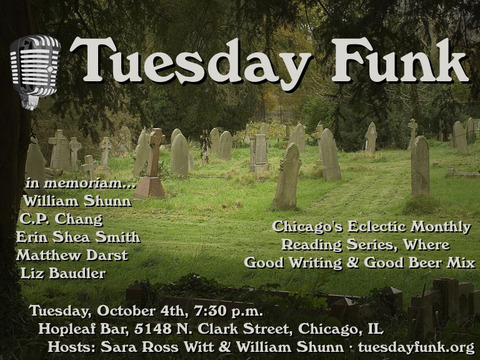 Please bring plenty of friends, and become a fan of Tuesday Funk on Facebook so you never miss an invitation to our readings, which later this fall will feature the likes of John Klima, Hanna Martine, Matt Wood, Patricia Ann McNair, JD Adamski, and many more. You won't want to miss a single tasty morsel. This page is an archive of recent entries in the Reading # 38 category. Reading # 37 is the previous category. Reading # 39 is the next category.